Nissan went further, swapping all models for car specialists. “We no longer use models to promote cars at motor shows. We use male and female product specialists who are trained to provide information to media and customers throughout the duration of the show,” said a Nissan spokesperson to Euronews. For many critics, car companies need to go further to tackle sexism in the motor industry. But how does this year compare to shows before it? 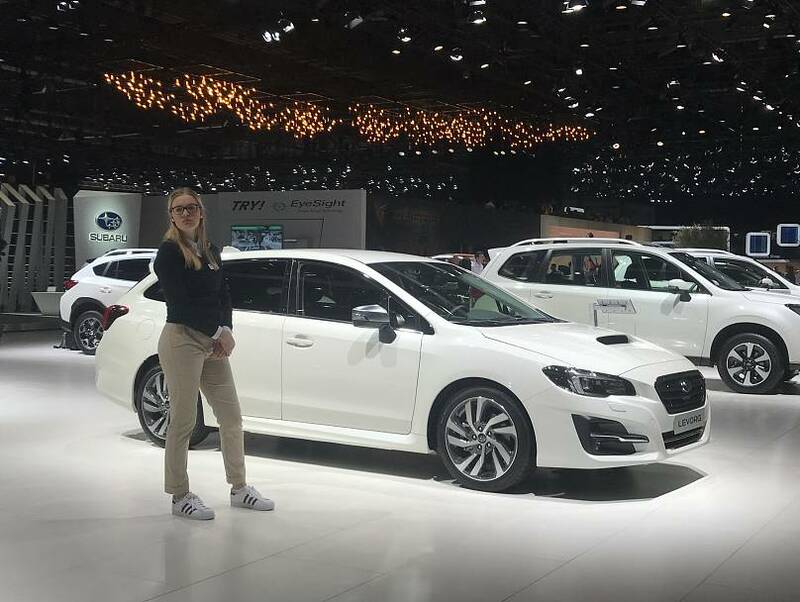 Stefania Orlando travelled to Switzerland with her husband and son to check out the auto show, marking her fourth time at GIMS. Orlando, who came from Milan, noticed an immediate difference in model attendance. 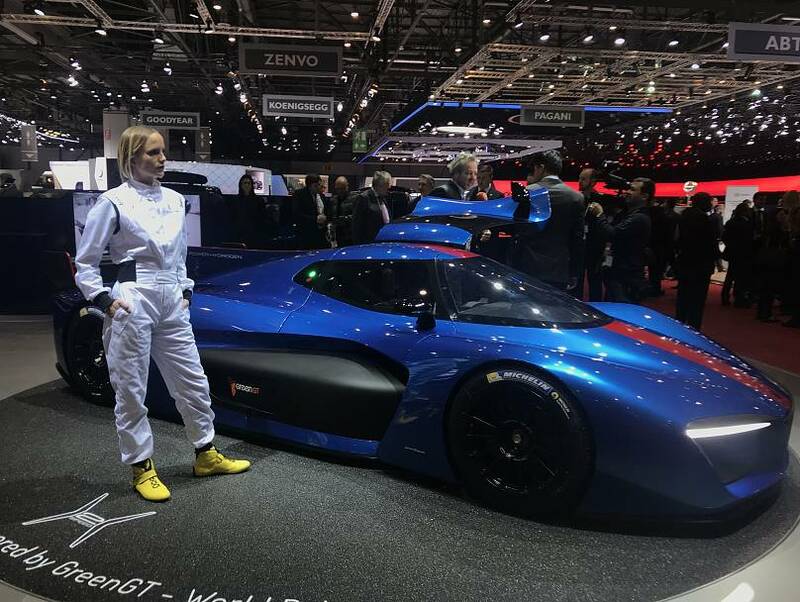 Diego, who has worked at the Geneva Motor Show previously for BMW and Porsche, also observed a significant drop in models being featured — and that this year their clothes are “less revealing”. “Five years ago it really was just: cars and girls. He added that it’s a commonly accepted practise, even for more family-friendly brands, that models stand next to cars for an international debut. For Diego, it wasn’t only sexism that bothered him about some of the outfits women were required to wear, it was the stories he heard from modelling colleagues that had him really worried. “It wasn’t cool … Men taking photos of the women, trying to film their underwear under their skirt,” he said. SsangYong and Nissan are not the first to give their models a lower profile — or do away with them outright. Toyota has, for more than a year, carried a no-model policy in Europe. “For Motor Show on-stand staff in Europe, this year we will continue the policy we have followed for the past few years. We do not use models on our Toyota stand,” a Toyota spokesperson told Euronews, adding that it will use “hosts and hostesses” as experts to explain the products to visitors. Subaru has also promoted the use of hosts and hostesses — and they take the hiring process seriously. After a casting call, applicants are required to take two days’ training on a specific car. Afterwards, they are given a test to pass before the hire is given the green light, according to Rea Tanner, a hostess with Subaru. The showroom is also made up of diverse staff, she says. “When I came to the casting I was really stressed. I wondered if I was too fat or too tall. I was really stressed. But now I know the team is open-minded and diverse,” said the 20-year-old student. As Euronews walked along the stands, it was clear not all models were shunned, nor experts. They wore a wide range of outfits, from Jeep’s tan, loose-fitting corporate garb to Lvchi’s snug evening wear. Other stands, like Ferrari, did without models altogether. Tyre companies at the auto show, on the other hand, had one thing in common with each other other than rubber wheels: models. 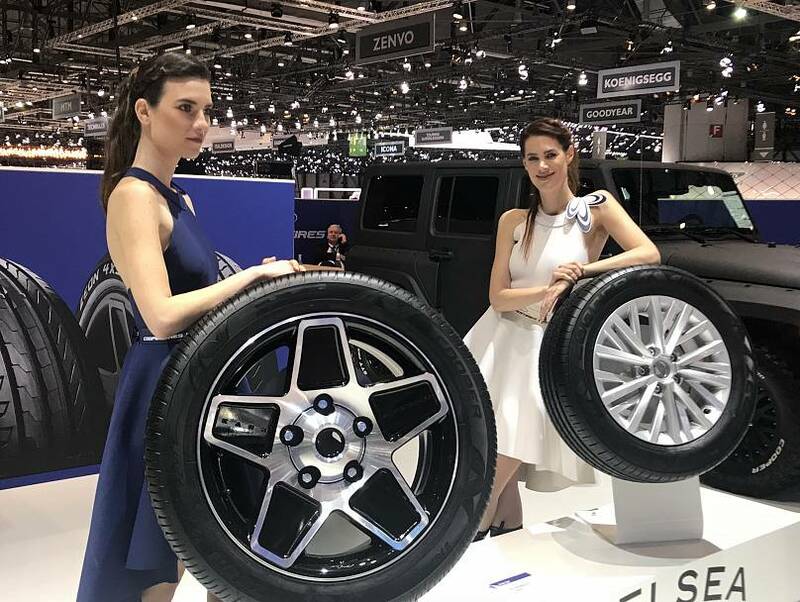 For Candice Duthe, who is modelling at GIMS for a second year, it’s necessary for tyre companies to have people front the stands to get attendees interested in the items. “Models help attract attention for tyres, which is needed when considering that the car companies can rely on the car itself to get crowds. It’s much tougher when it comes to tyres,” she said at the Cooper Tires stand. But she does draw a line. “The company I’m working for, their outfits are good: longer dresses and we wear boots. It’s not like the other stands where I have to wear high heels or show…” said Duthe, while pointing to her chest. For Duthe and her modelling colleague, who previously worked at the Singapore Auto Show, they are happy to take part under these terms. While #MeToo has had an impact on showrooms, its effect has not gone unnoticed on the race tracks. 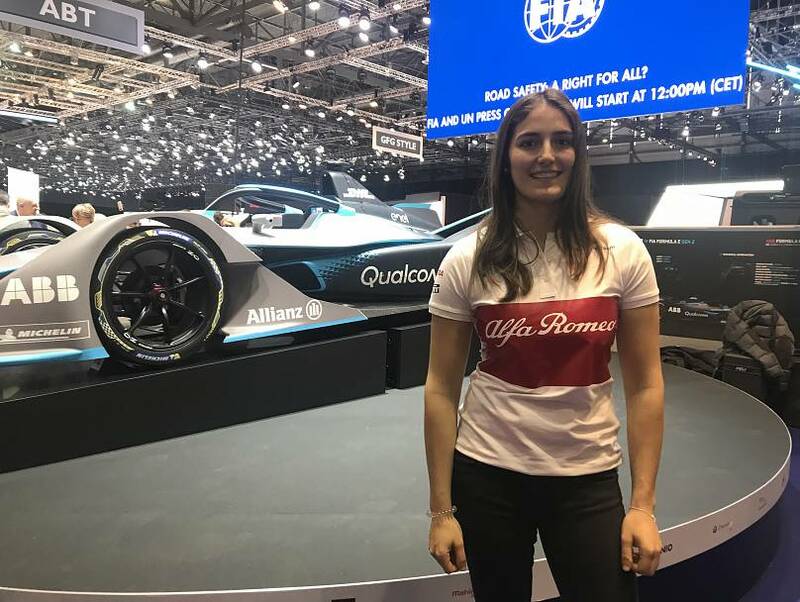 GP3 racer Tatiana Calderon has detected the movement’s impact on the racing industry and welcomed the calls for change. “There was definitely a boom in the last couple of months. I see it's really moving in the right direction,” she said to Euronews. The Colombian native, who was promoted this week to become a Formula 1 test driver for Sauber, said there is a difference in how women are treated on and off the tracks. “I would have loved to reply that I’m treated equally. I think it’s a process and it’s been changing in the last couple of years — but it’s still a very male-dominated sport,” she said to Euronews. “You need to earn your respect both off track and on track: with the engineers to really believe that a girl can be as competitive as a guy, and then on track, because people think you are going to brake first and it’s not like that. “I even had to crash to make a point and to have them respect me,” said the 24-year-old. Part of changing the misconceptions of female drivers and fans, for Calderon, is getting more women into the sport. In her role as ambassador for FIA’s Girls on Track programme, she hopes that by getting more girls into motorsports at an earlier age, perceptions of what women can offer the auto industry will also change.